This set has been designed to engage young learners and to help them to work with family words while having fun! Working with spelling patterns will help your students to spell and read new words! 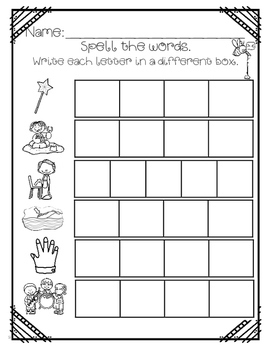 Page 1: Students will use the letters on top of each page to complete each word. Pages 2-3 Students will cut and paste. Page 4: Students will read and color. Pages 5: Students will trace. Pages 6: Students will write. Page 7: Students will spell. 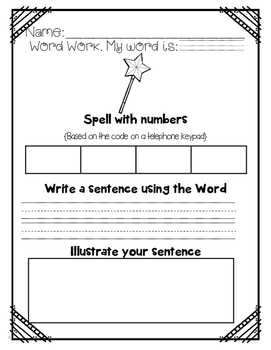 Pages 9-14: Word Work: students will spell words with numbers (Based on the code on a telephone keypad). They will write a sentence using each word and draw a picture to illustrate each sentence. Page 15: Students will find and circle the hidden words from this word family. Page 17: Students will draw. Page 18: Students will read and match. Page 19: Students will find and write the "jelly beans" words. Page 20: Students will cross out the picture of the word that does not belong to the word family. Page 27: Students will trace and write in ABC order. Page 28: Students will write their favorite word from the lesson, draw an illustration, and write a sentence using the word. ✓UPDATED (June 2016) I keep updating and revising my products, that is why the price may has changed. Just trying to balance between quality and affordability! If you purchased previously just go to "My Purchases" to re download. Thanks! 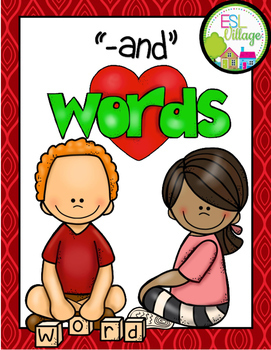 • Pictures cues are provided in most of the pages to assist students on each worksheet when they are forming their word families. • It is very important to have everything ready before you bring your students into each activity. For most of the activities, students will just need their regular school items (colored pencils/markers, scissors, glue, etc.) and this set of worksheets to work. 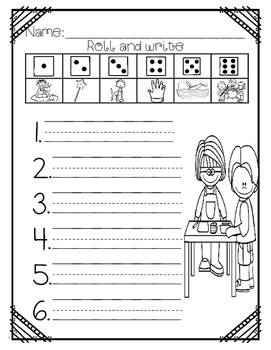 However, for some activities you will need further materials: for the “roll and write” activity, you will need a die. For the “spell with numbers” activity, I have included a page that shows the code on a telephone keypad. • The posters included can be printed on card stock and laminated. They can be posted on your classroom wall or placed in a binder for student reference. • The flashcards included can be printed on card stock and laminated. They can be used to play card games in the classroom or you can just let your students to cut out and glue in their notebooks/art books for reference. • Please read the description and look at the thumbnail images carefully.